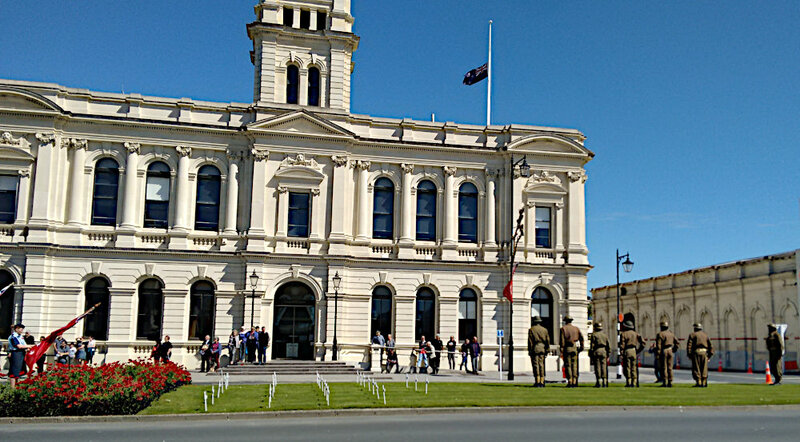 11am on 11-11-18: the armistice celebrations at the Oamaru war memorial on a glorious spring day. 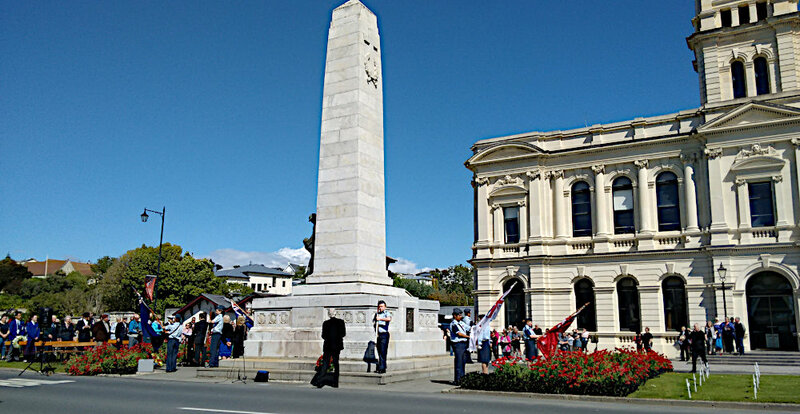 Young high-school-age Air Training Corps cadets were the guard of honour at the memorial. 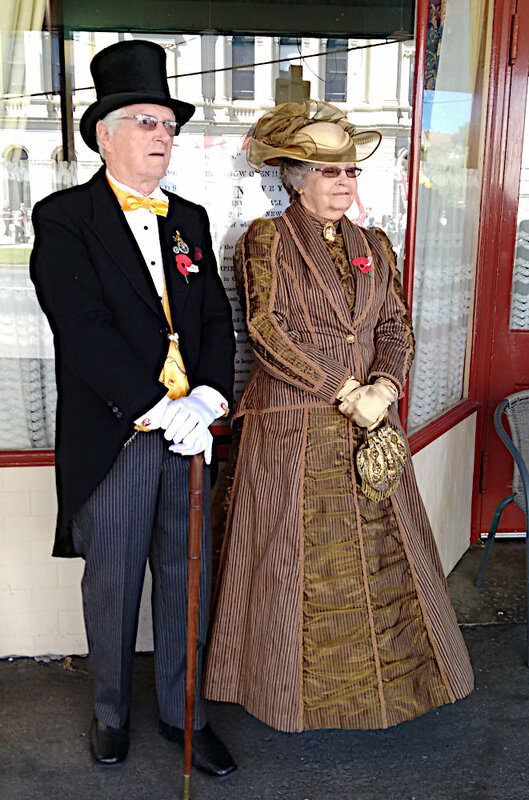 Two of the spectators, already in their Victorian costume; the annual Victorian festival starts on Thursday. 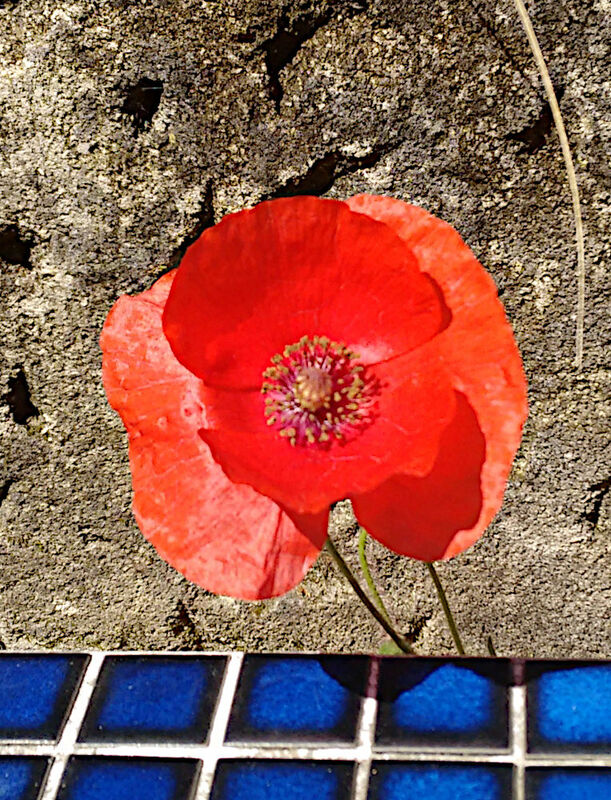 ... and when I got home, we found a single poppy out on our rock garden! I am stunned. 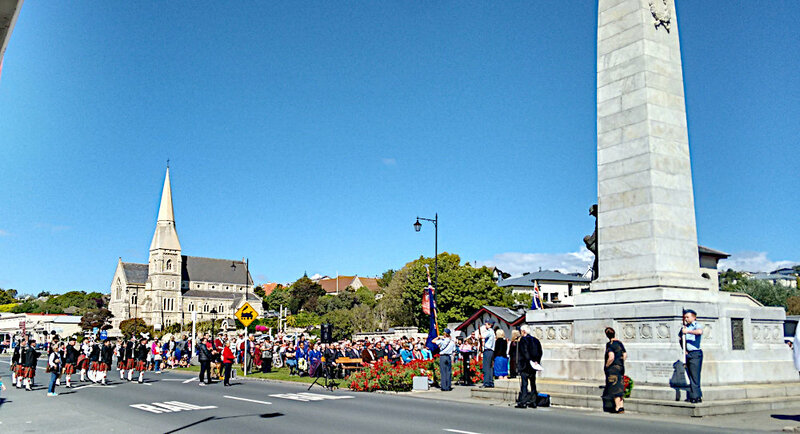 We also had a first poppy bloom on 11 November in 2016. The blue tiles are a garden seat. This evening we went to see Peter Jackson's film They Shall Never Grow Old which was commissioned by the British Imperial War Museums in association with the BBC. 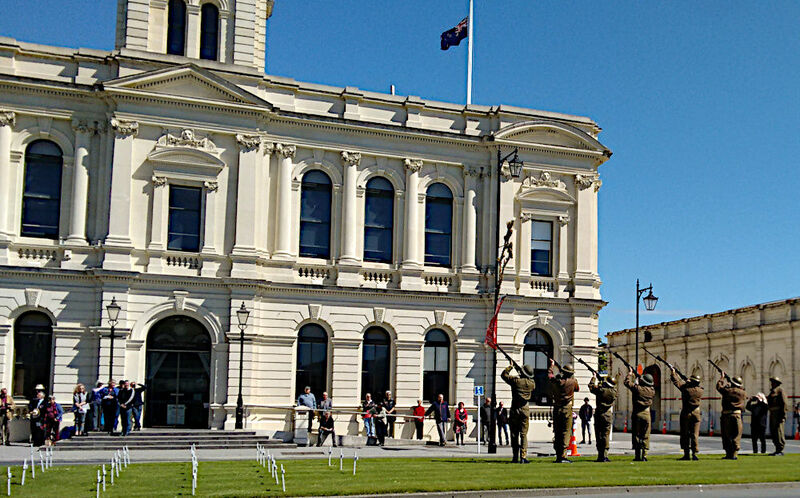 It features 90 minutes of restored and colourised archival footage and a soundtrack created with voice-overs from archival interviews with British WWI veterans recorded in the 60s and 70s. And man, it was intense. A veteran told me about it when I was a child, how a shell blew up the man next to him, how he and others drank from a shell-hole for three days until they found a dead German at the bottom, how he was gassed (only slightly compared to others), and he let me feel the pieces of shell in his arm. I was only about 8 but I remember it vividly.